Another service for the communication very efficient it’s THE DEM, acronym of Direct Email Marketing. 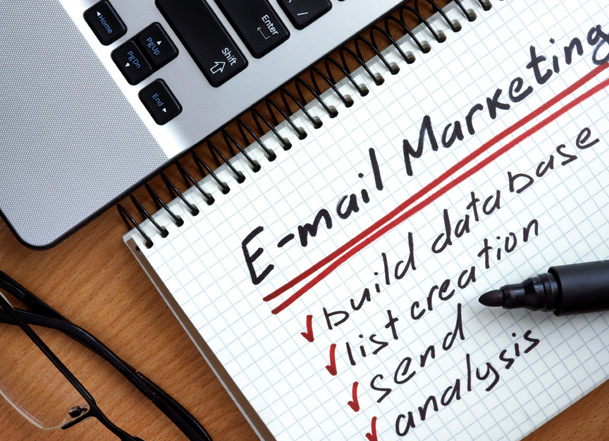 Nowadays , it is necessary the help of experts in the field email marketing services that will make know everything that the company desires to place in the market, whatever the niche or the quota currently held by the company. In such activity includes as well the planning of messages to post, the marketing development through e-mail and everything that concerns its preparation. Even in this case, it is important to assess some variables regarding the target market to make an analysis of competitors to ensure that such instrument can be used effectively. The DEM service assures you the opportunity to concentrate the effects of an advertising campaign in less extended and functional periods of time according to the launching of new products in the market. Our teams are joined by specialized technicians in the offer of services such as DEM that is of great significance for the improving of the visibility of your company and for the advertising of its products or services. SiComunicaWeb features a platform of a professional e-mail sending with a dedicated smtp.